Elderly Person Tries To Make A Purchase On The Internet. 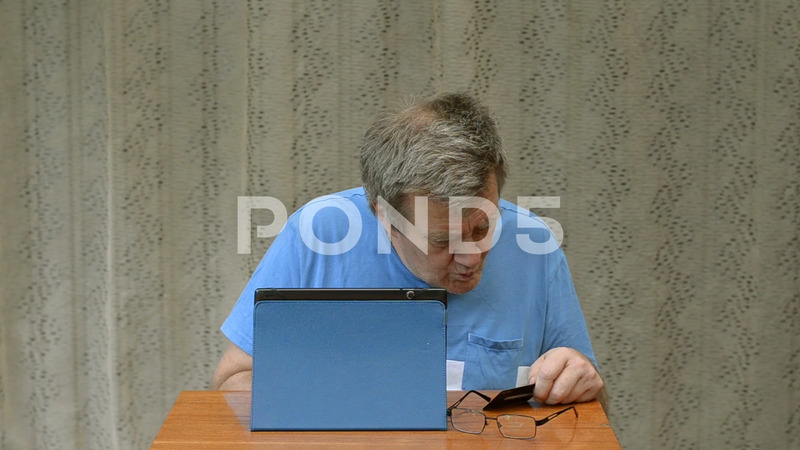 Description: Elderly person tries to make a purchase on the Internet using a tablet and a credit card. But he can not do it.